Hard at work....warghhhhh..anyone see my brain here? Internet of Thing(IoT) is one of the latest jargon that is believe to become next coming boom to the world. 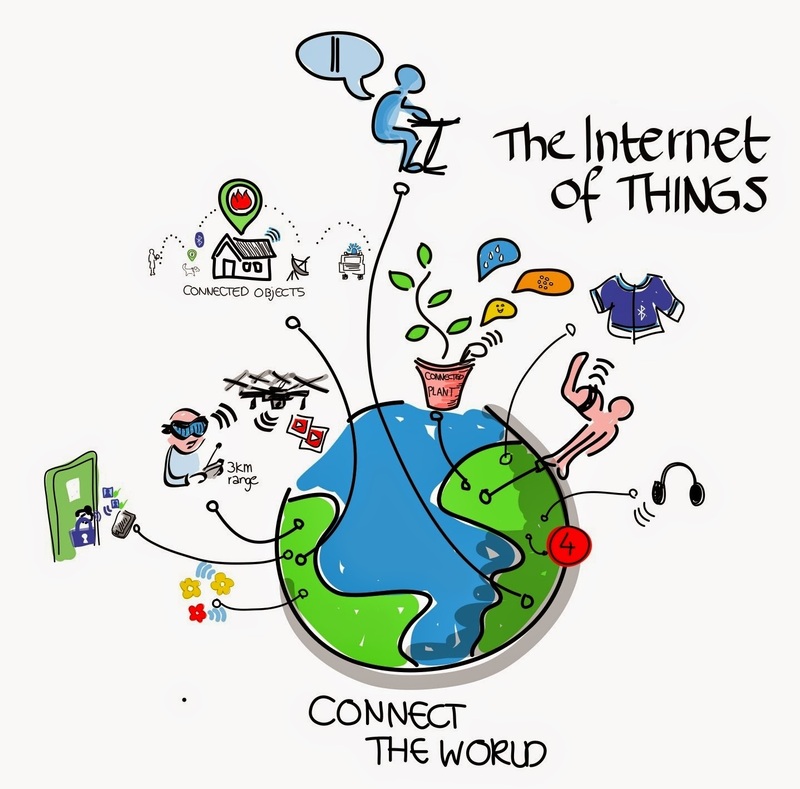 Wikipedia said the The Internet of Things (IoT) is the interconnection of uniquely identifiable embedded computing devices within the existing Internet infrastructure. Even the Gartner group has identified the next coming technology expected to be exploded is the Internet of Thing (IoT). "If we had computers that knew everything there was to know about things - using data they gathered without any help from us - we would be able to track and count everything, and greatly reduce waste, loss and cost. We would know when things needed replacing, repairing or recalling, and whether they were fresh or past their best". Most of us think about being connected in terms of computers, tablets and smartphones. IoT describes a world where just about anything can be connected and communicate in an intelligent fashion. In other words, with the Internet of Things, the physical world is becoming one big information system. Mobile 3D Display : Is it really good and real? After the huge success of James Cameron Avatar movie, everyone has been excited about three-dimensional (3D) display technology. TV vendors are marketing a number TV sets with 3D feature and new 3D movies are being viewed at theaters around the world. The first 3D digital camera was introduced a couple of years ago, but this year we are going to see even more 3D. Mobile phone displays are going 3D. LG is introducing a mobile phone with 3D display that doesn't require users to wear 3D eyeglasses. The smartphone is called LG Optimus 3D.Not only is the display built on 3D technology, but the Optimus 3D comes with 3D camera as well. The smartphone has a dual-lens camera required for 3D recording. HDMI interface makes it possible to project images and videos from the phone to a TV screen. Included DLNA, UPnP and Wi-Fi features let users share media in a home network.Few people can remember it anymore, but LG introduced a touch screen mobile phone before the Apple iPhone. The LG phone wasn't a success, but the company has been able to sense new trends. Other phone manufacturers will follow LG now as well, but not instantly, because everyone wants to see how 3D on a phone is received by users. 3D on a mobile phone can be a headache or nirvana. TV vendors are warning people that watching 3D may cause dizziness or headache. 3D doesn't automatically mean success. For instance, Fujifilm introduced an advanced 3D camera and picture frame in 2009. The products never created a buzz in the industry even though they didn't require special goggles for viewing. Fujifilm 3D images could only be viewed on the camera display or purpose-built image frame. The same applies to the LG Optimus 3D. Although it is possible to capture 3D images on the phone, a dedicated monitor is required to view the images anywhere else besides on the phone screen.In order to create the 3D effect without special eyeware, the display has to viewed from a certain distance (that can't be changed). Nonetheless, games, photos and videos can look excellent on a 3D screen. American car buying trend has shown decrease in percentage drop since years back. Beside Honda, who is a car sale champion, the rest has shown their improvement in the sales. 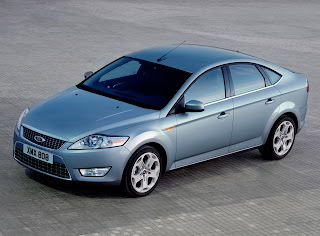 Led by Ford, the automotive industry in US just decrease 10.7 %, which the lowest decrease compared the the sales in year 2008. Even Chrysler, which emerged from bankruptcy protection early in June, saw its year-over-year sales decline shrink, and analysts say that’s among the signs that an auto industry slump that began with $4 per gallon gasoline last summer could be leveling off. Factors such as a slowly improving economy and government incentives of up to $4,500 to trade in inefficient clunkers for new vehicles could lead to modest improvements in the second half of the year, he said. And while Chrysler’s sales results were dismal, the figures were roughly in line with analyst estimates and reflect a company that is in a major transition following bankruptcy protection and new focus on more fuel efficient vehicles. Economists say there are signs that the economy is recovering, with housing starts rising more than expected in May and wholesale prices remaining in check. But the Conference Board reported Wednesday that consumer confidence fell unexpectedly in June. GM’s decline improved when compared with previous months even though it entered Chapter 11 bankruptcy protection on June 1. GM plans to sell or close Pontiac, Saturn, Hummer and Saab to focus on four core brands — Chevrolet, Cadillac, GMC and Buick. At Chrysler, though, the company sold only 68,297 cars and trucks last month as it emerged from bankruptcy protection, and many of those were due to strong incentives of more than $4,800 per car, according to Edmunds. Analysts predict that June sales, adjusted for seasonal variances and multiplied to determine an annual rate, could top the 10 million mark for the first time this year. During several months earlier in 2009, U.S. car and truck sales dropped to a rate of about 9 million vehicles, a huge reduction from more than 16 million as recently as 2007. The future of Mobile OS - towards the end? So cheap aaa you iphone 3G...why?